The global scale of plastic pollution could be much worse than previously thought. Microplastics have been found in some of the most remote regions of the oceans: samples taken from the middle of the South Indian Ocean show microplastic pollution detected at high volumes, 42 particles per cubic metre. 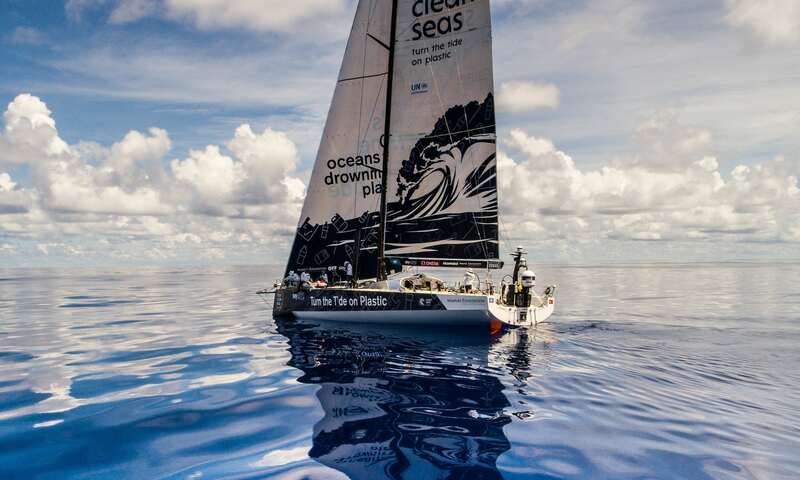 The samples were gathered by a research vessel taking part in the Volvo round-the-world ocean race. The race allows to explore areas so remote they have never been sampled before. 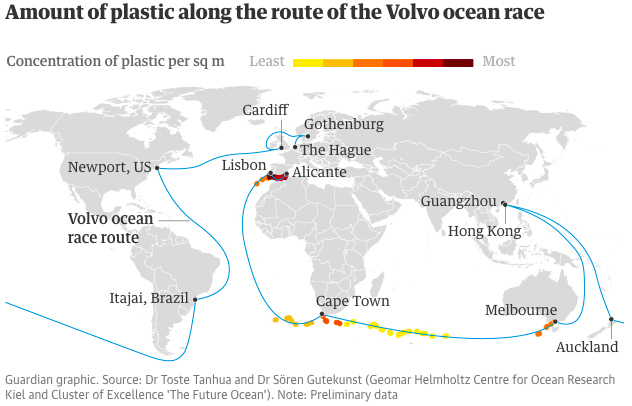 The highest levels of plastic pollution were recorded around Europe’s north Atlantic and Mediterranean coasts (180-307 particles per cubic metre). High levels were also recorded off the coast of Cape Town (152 per cubic metre) and the Australian coast (114-115 particles per cubic metre). More than 8 million tonnes of plastic enter the ocean every year. Currently scientists can only account for 1% of the plastic they think is in the ocean. Photo by Brian Carlin/Volvo Ocean Race, infographics by The Guardian.